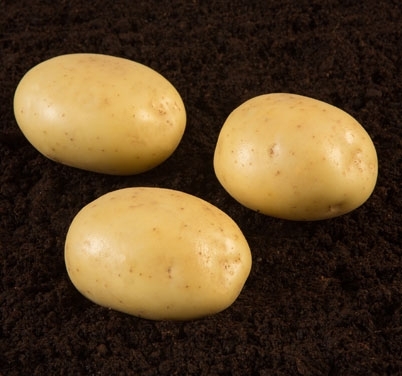 Early maincrop variety with very bright attractive skin finish, uniform round-oval shape and excellent culinary characteristics. VANILLA produces very high yields at early harvest dates. An excellent choice for the early fresh sector. • As is a prolific producer of tubers, wide inter row spacing is recommended. • Responds to higher levels of fertilisation. • A comprehensive early season fungicide programme is important to protect against late blight. • Herbicide Sensitivity: Metribuzin can be used strictly pre-emergence only.